100 cozy rooms and suites are available at the Kaiserhof for your private or business stay in Muenster (Westfalen, NRW). Nearly 125 years as a hotel in a prime location characterize us as an exceptional place to stay in Muenster, which skilfully combines tradition and modernity. The rooms are decorated according to different design concepts. Each room is different: maximum individuality, pure variety! 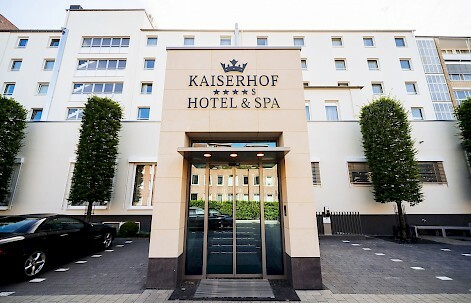 The Kaiserhof offers five room categories: Standard, Superior, Deluxe, Suites and Kaisersuites. Family rooms and twin rooms are also available (limited). Click on the image on the left and open our room comparator. For the stay of dog and owner we offer two special rooms in the Superior category. Please inform us when booking that you are traveling with a dog. The additional costs for your dog can be found in the price list. The best prices and exclusive offers are only available on our homepage! The spa and fitness area is available free of charge. Family room for all or separate room for the offspring?